Alix is a former international rugby player who won 33 caps for Wales, appeared in two Rugby World Cups and helped his country win the 6 Nations Grand Slam in 2008. In a ten-year domestic career, he was a regular first-team player in clubs such as Newport, Leeds Carnegie, Scarlets, and Brive la Gaillarde. Since injury forced him to retire in 2011, the man from Gwent has transferred his leadership skillset to the world of business; he worked as Business Development Director at Amplified Business Content, and co-founded the Entrepreneur Wales Awards. In 2018, he established HUB XV, a co-working company that turns sports clubs into business hubs. 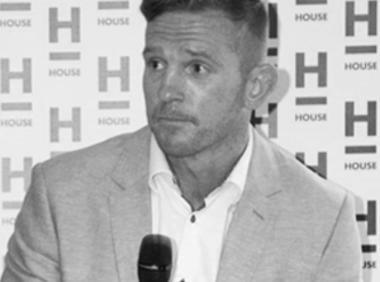 Below, Alix explains more about HUB XV and the benefits a professional sporting mindset can bring to the business domain. 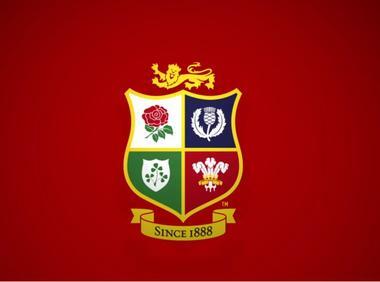 Q) What was your proudest moment on the rugby pitch? My first cap playing for Wales in the Telstra Stadium against Australia in 2003, just before the Rugby World Cup. I had got onto the bench three years earlier against Scotland at the Millennium Stadium, but I didn’t get on the field. I was worried I’d missed my opportunity but I just put my head down and played my best for Leeds. The Wales coach at the time, Steve Hanson, heard I was playing well and I was invited to go on tour to Australia and New Zealand. Running out on that pitch was just an amazing feeling; the subsequent night out and recovery on Bondi Beach the next day were great too! Q) What were the toughest team and toughest competitor that you played against? Toughest team is Argentina. They haven’t shown their strength recently, but the Argentinians were super physical in the scrum and off the ball. We had back-to-back tests against them in 2006, in Patagonia, which was an amazing place to visit in itself. Individually, there are two: Schalk Burger, the South African flanker and Jerry Collins, the New Zealand number 8; both monsters of the game. You could give these guys your hardest hit and you’d get a stinger down your side. They’d get up and say ‘Good hit, bro’, and walk away. They’d just keep running and running at you. Q) Why is professional rugby heritage so suited to the culture that you’re building at HUB XV? In rugby, you need to be a team player and do your best to work with those around you. A large part of the rugby environment depends on learning from a game’s mistakes and putting them right on Monday; it’s about analysing performance and taking constructive criticism on the chin, which might be uncomfortable at the time, but it’s the most efficient path to getting things right in the long run. Similarly, I’ve learnt that it’s best to be open and honest in business so that any errors can be flipped over as quickly as possible, enabling the wider team to return to winning ways – whether that’s staging a conference, presenting a keynote, or whatever the challenge maybe. In HUB XV we look for people who are keen to progress and willing to go out of their way to introduce themselves or a colleague to another person. Far from being just about rugby, our presence in multiple sports stadia maximises our reach and optimises the effectiveness of the HUB XV community. It’s a community of like-minded professionals who share similar value sets, and who just want to work hard and create, whether that’s at our hubs, or through our online networks. 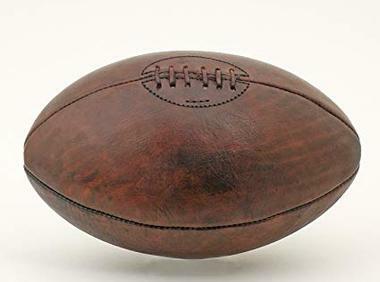 Q) As a former professional rugby player, what attributes learnt on the field of play have you brought into the business domain? On a personal level, I bring my determination to succeed – that drive to put in the extra hours to push performance on a daily basis. I was a perfectionist in my playing days and always wanted to do things to the best of my ability. However, I never kicked conversions or played at prop because those tasks didn’t fit my skillsets. In that respect, there’s strength in knowing your weaknesses. In business, as in rugby, it means knowing when and where to bring in specialists for different challenges. At HUB XV, I’ve brought in expertise to put us on the best footing possible. Our Chief Operations Officer, Alan Todd was with Landmark PLC for eight years, then there’s recruitment specialist Mark Farris; Richard Mellor is our IT Services Director, Digby Nicklin is our Financial Director, and Melanie Bramwell is heading up our delivery of strategy and talent delivery. 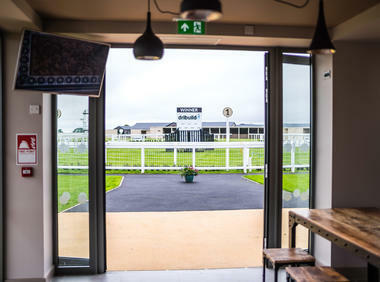 Q) HUB XV opens at Bath Racecourse. Why is this a great place for a co-working community? The venue has just had a £6m state-of-the-art technology development, meaning members are guaranteed a robust office infrastructure and the business-grade experience that’s needed to support co-working at its best. It’s a beautiful and prestigious venue, with fantastic views over the Bath countryside and the Severn estuary. Great breakout areas make it ideal for networking and enjoying social occasions. Members will also receive a free race-day ticket. There were 23 events throughout last year’s calendar here, which translates into a huge number of opportunities for getting the most out of membership and tapping into the wider benefits that HUB XV offers. We are in talks with other big-name venues for HUB XV, but for now it’s about getting things right at Bath Racecourse, before we expand to other parts of the UK and overseas. Q) How can HUB XV help members to expand their professional networks? In the hub itself, our day-to-day managers will get to know our members on a personal level to ensure the best service at all times. It will help to forge that team spirit that enables each member to excel. There will be two business seminars with guest speakers each month from the worlds of sport and business, while our online presence will ensure members can stay in touch 24/7 and search according to specific requirements or industries. Finally, HUB XV isn’t your normal four-walled office; it’s a business-class working experience at a racecourse, a famous rugby ground or cricket stadium, in truly inspiring surroundings. Who has been the biggest inspiration in your life and why? Definitely family – my mum, dad, grandparents and my brothers who have always been so supportive through all my undertakings. My parents lived in South Africa for ten years, and that instilled a sense of adventure in me – a real desire to go out and experience new things, to try my best and to push myself. What is the biggest challenge you’ve faced in your career to date? The career-ending injury I sustained while playing in France. My game was all about being physical and making big hits, and there was no way I could continue after that point. I had to reinvent myself in the business world and rediscover focus that could give me the buzz of rugby, and I’m investing that energy into HUB XV. Had you not been a rugby player, what would you have been? Definitely an entrepreneur – I was always that way inclined growing up. I set up a players’ agency for property development while I was playing rugby, so yes, I’d say business has always been in my blood. Former New Zealand winger, the late Jonah Lomu. When I was growing up I watched him play in the 1995 World Cup. For me, he was rugby’s first superstar. Bob Marley CD, but now listen to most types of music dependent of what I’m doing . Croatia – I’ve only been there once but I absolutely loved it. It’s just an un-spoilt beauty; lovely people, great food, great wine, and I can’t wait to go back. Five dinner party guests, dead or alive? Winston Churchill, Adele, Muhammad Ali, James Cordon and the Queen! Tiger king prawns to start, garlic butter, then a Tomahawk steak for main with jacket potato, sweet corn and peas. Rhubarb crumble with vanilla ice cream would follow, then a cheese board. A nice Pinotage to accompany. Dream of doing more amazing things in life, because anything is possible. Have more faith in yourself, but remember you have to get out of bed and make it happen. Also, surround yourself with positive people who inspire you.